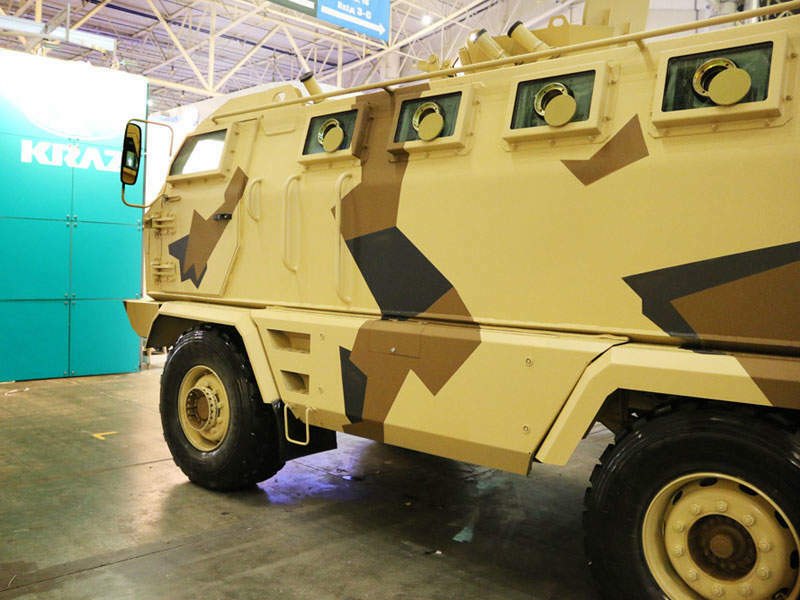 The KrAZ-Hulk multi-role armoured vehicle was unveiled in October 2016. Image courtesy of PJSC "AvtoKrAZ". 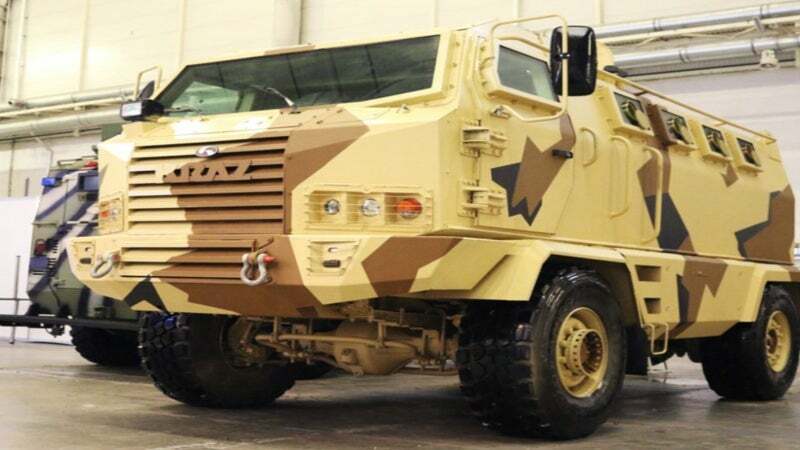 The KrAZ-Hulk MRAP vehicle is manufactured by Ukrainian company KrAZ. Image courtesy of PJSC "AvtoKrAZ". The KrAZ-Hulk armoured vehicle carries two crew members and ten troops. Image courtesy of PJSC "AvtoKrAZ". The KrAZ-Hulk offers a maximum speed of 90km/h. Image courtesy of PJSC "AvtoKrAZ". KrAZ-Hulk is a multi-role armoured, off-road, mine-resistant ambush protected (MRАP) vehicle developed by KrAZ, a trucks and special-purpose vehicles manufacturer based in Ukraine. 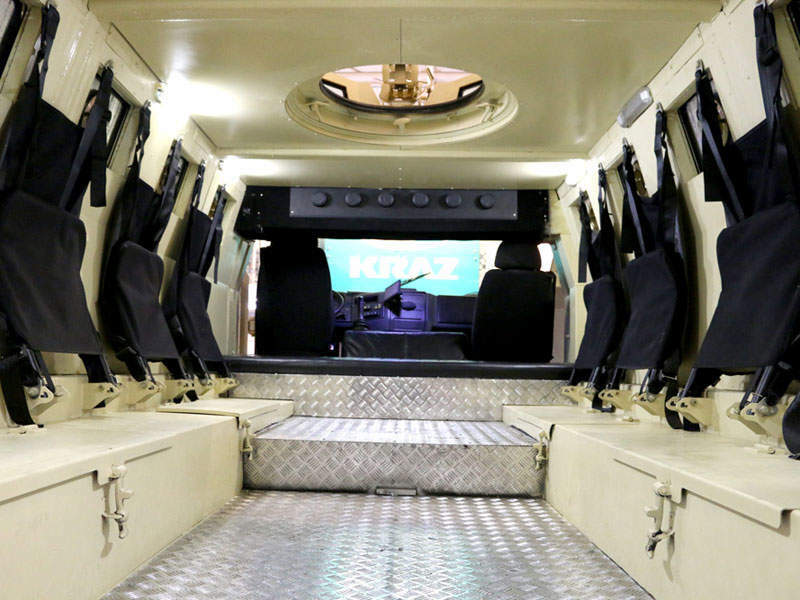 The vehicle can be configured for different missions such as transportation of armed personnel, cargo and military equipment on difficult road conditions. Equipped with advanced weapons and enhanced protection features, the MRАP vehicle offers increased fire support for the personnel. The KrAZ-Hulk was introduced at the Arms and Security-2016 international trade fair held in Kiev in October 2016. The vehicle also took part in the military training event held for sergeant majors of brigades, regiments and operational command of the Ukrainian Armed Forces at the 169th Training Centre of the Ukrainian Ground Forces in December 2016. Based on 4×4 off-road chassis, the KrAZ-Hulk armoured vehicle features V-shaped hull. It has a kerb weight of 14,000kg and gross vehicle weight of 16,000kg and carries two fuel tanks of 165l capacity each. The lightweight MRАP vehicle can accommodate up to 12 personnel, including two crew members. A large bulletproof windshield forward view for the crew, while a roof-mounted rear-facing camera gives rear view. A door with a bulletproof glass window is provided on either side of the hull to provide entry and exit for the crew. Up to eight personnel are accommodated in two rows of seats suspended from the sides of the vehicle in the troop compartment. The infantrymen enter or leave the vehicle through a large forward-opening door fitted at the rear. A circular roof hatch in the passenger compartment provides access to the turret mount. Four small bullet-resistant, laminated windows with firing ports located on either side of the passenger compartment allow the troops to fire weapons. Additionally, the rear door is fitted with a bullet-proof window and a firing port. The inner layers of all the bullet-proof glasses are made of double polycarbonate material. The KrAZ-Hulk MRАP vehicle comes with a turret mount on top of the vehicle. Armed with a machine gun, the turret offers mobile firepower against personnel, vehicles and light armoured targets. "The vehicle can be configured for different missions such as transportation of armed personnel, cargo and military equipment on difficult road conditions." Two bulletproof glass windows fitted to the turret ensure protection against small arms firing. Six smoke grenade launchers are affixed on the top of the vehicle to provide self-protection for the occupants. The vehicle is provided with mine protection up to STANAG 4569 levels 2а and 2b. It can withstand landmine explosion of 6kg of TNT under any wheel or bottom of the vehicle. The V hull offers enhanced protection for the occupants against direct blasts of landmines or improvised explosive devices (IED). The infantry seats are fitted with four-point seat belts to improve survivability of the troops. The KrAZ-Hulk armoured vehicle is powered by a 310hp turbocharged diesel engine mounted at the front section of the vehicle. Coupled with a nine-speed manual transmission, the engine offers increased manoeuvrability in off-road conditions. The vehicle’s off-road driving performance is further improved by four drive wheels attached with 445/65R22.5 tyres. 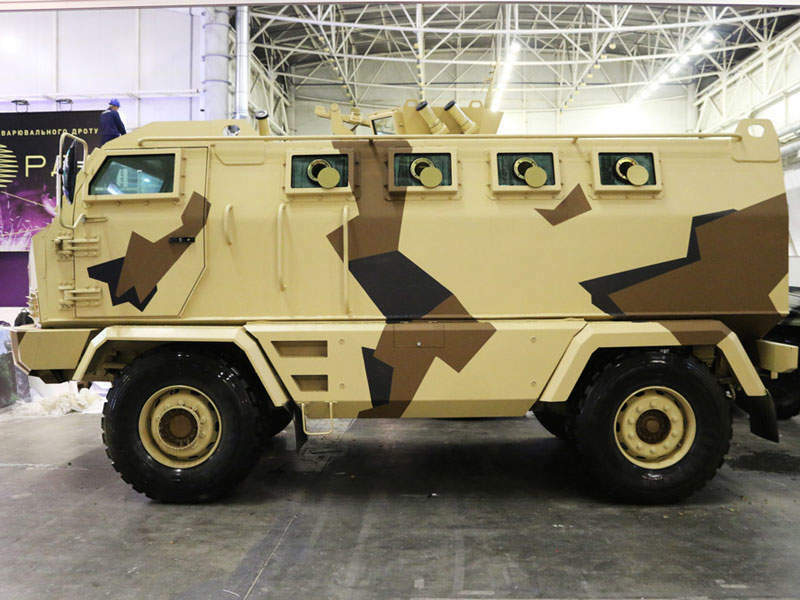 The mine-resistant ambush protected vehicle can attain a maximum speed of 90km/h. The armoured Unimog U5000 is the ideal off-road vehicle for transport of troops and equipment. The modular concept is available in levels 1 to 3 protection according to STANAG 4569, tested and certified by the independent laboratory Beschussamt Mellrichstadt. Our Toyota Land Cruiser 200 is available in several armor configurations from B6 up to level STANAG 2, including VR6 protection, independently certified to ensure the integrity of the armour system. The VR6 configuration been tested in accordance with the European standard BRV1999. Shri Lakshmi Defence Solutions (SLDSL), a 100% subsidiary of Shri Lakshmi Group of Industries (US$600m group), has been in the armoring, ballistics and technical textiles business for over nine years and presently operates four manufacturing facilities for defence products.